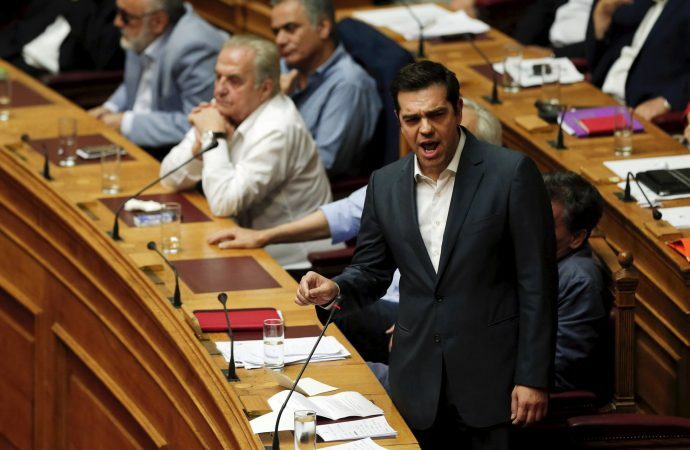 Greek Prime Minister Alexis Tsipras will today face a confidence vote in parliament. The vote was called by Mr Tsipras himself after right-wing Independent Greeks withdrew from the ruling coalition on Sunday in opposition to an agreement with Macedonia that aims to end a decades-long name dispute. While Tsipras’ leftist Syriza party holds 145 of the 300 seats is Greece’s parliament, it is expected to secure the majority needed to survive today’s vote. Indeed, even Kyriakos Mitsotakis—the leader of the centre-right opposition New Democracy party and Mr Tsipras’ main opponent—has admitted that the PM can clinch victory today. However, Mr Mitsotakis insists that “the clearest solution would be national elections”. This is unsurprising considering New Democracy leads Syriza in opinion polling by some 10 percentage points. If the government survives today’s vote, as is expected, the PM is expected to put the Macedonia name deal to parliament before the election—currently scheduled for October. The passage of this deal in Athens will pave the way for the newly named North Macedonia to join the European Union and NATO.